The 1950s were apparently a terrifying time to be a child. 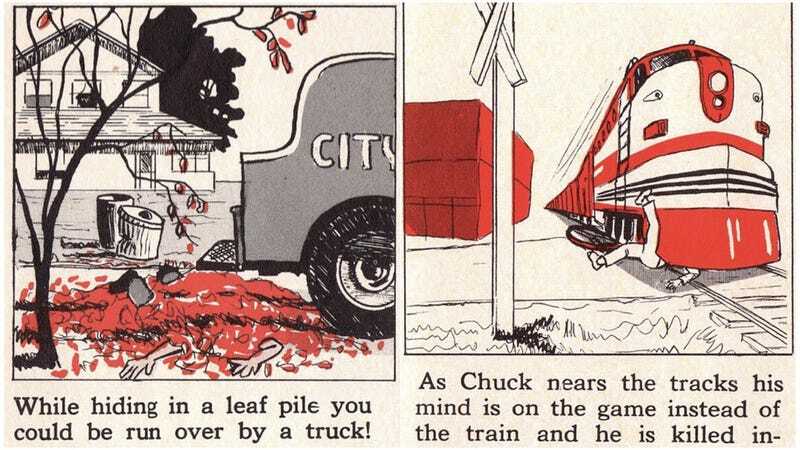 If a train wasn't coming out of nowhere to decapitate you, a seemingly harmless and endlessly fun game of "hide in a pile of leaves! "* ended when you were run over by city workers.